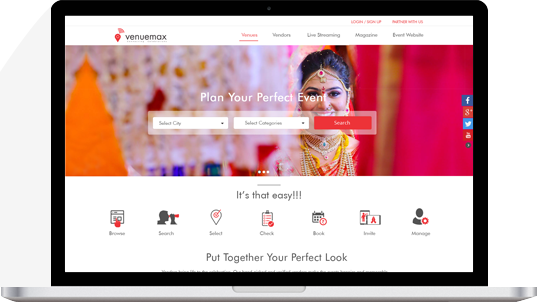 Register with us to book the venues online and to avail the benefits of seeing your bookings history, shortlisting favorites, write reviews and more. 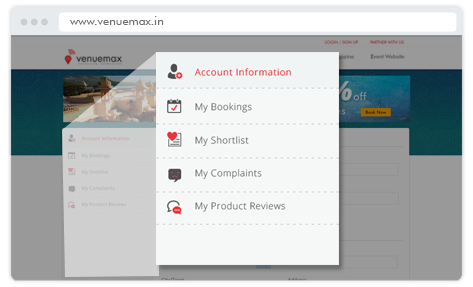 If you are not a registered user, you will have to key in the details every time before confirming an online booking through us. Is it 4 hours or 8 hours or half day event or you need a bigger slot? 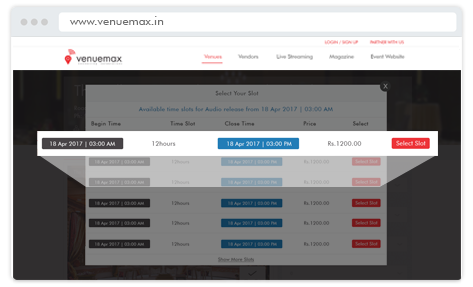 Size up your event time and select a time slot. 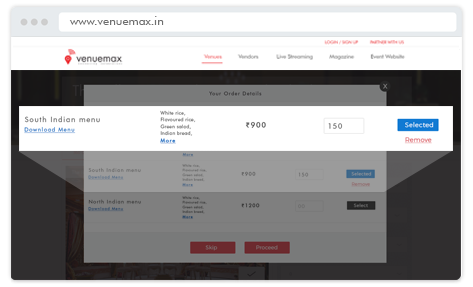 Price to slot is displayed on the window. Is it a vegetarian or a non-vegetarian spread and how many plates do you need of each? 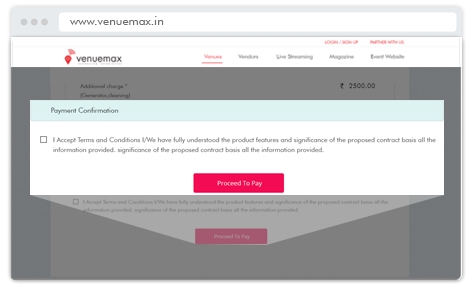 Select the number and proceed to Pay - either the Advanced amount to block the booking or Full amount to confirm the booking. Pay through the credit or debit card or net banking and wait for the big-day!